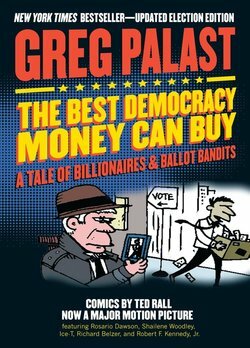 In The Jokers Wild: Dubya’s Trick Deck, award-winning investigative journalist and author of the New York Times best seller The Best Democracy Money Can Buy Greg Palast gets to the bottom of the crooked hand we’ve been dealt and plays the slim suit that could save us. Reading this oversized deck of real playing cards, which feature original research, will amaze you, infuriate you, and make you laugh out loud. Or strike up a game for a whole new twist on gin rummy. With striking, hilarious, full-color original art by Robert Grossman on each card, The Joker’s Wild gives the lowdown on the cast of high-priced back-scratchers that brought our mis-leader to power, paving Dubya’s way to the White House with hefty campaign funds, lucrative insider trading tips, and sleights of hand that cancelled thousands of ballots. Meet the Billionaire Clubs, a suit stuffed with CEOs and top campaign contributors. Grossman brings us the menacing mugs of the folks behind Walmart and Wackenhut, Enron and Exxon, corporate cronies who hedge their bets, back both parties, and get their hands dirty everywhere from Venezuela—colluding with plotters of a coup—to here at home—spying on you. The Diamonds glitter with a list of characters that reads like the black book of a Texan prince. Get the score on Georges friends, international bigwigs from Pakistani potentate Musharraf to former Canadian head-of-state and gold baron, Mulroney. In George’s world, action figures come to life as the governor of the Golden State, nightly news men fall in line in the service of W., and a sheepish leader of the pack polishes his runner-up speech before the ballots are in. Shadowy aces emerge from the suit of Spades, the behind-the-scenes players on Team Bush. Well see James Baker, who "fixed the election in Florida for George Bush; meet the fairy godsheik who bailed out the Texans dud exploration company to the tune of millions; and catch up with that former director of the CIA and traveling salesman serving greater Arabia whom Dubya calls Pop. With Hearts, Palast and Grossman play their best hand, packing the suit with profiles in courage from around the globe—Oscar Olivera, the man who took on Bechtel in Bolivia and won; Amy Goodman, the media exception to the rulers; Tundu Lissu, the Tanzanian environmentalist who socked it to Daddy Bush; and Joe Stiglitz, World Bank-er turned global justice advocate. The game seems fixed, but even Dubya’s Trick Deck has its surprises—it takes only one suit to flush the royals. Born in Los Angeles in 1952, Greg Palast worked as a government consultant and an investigator for labor unions before turning to journalism full time. A self described “reporting investigator” as opposed to an investigative journalist, he became a writer in order to alert a wider public to abuses he saw committed by governments, corporations, politicians, and lobbyists. 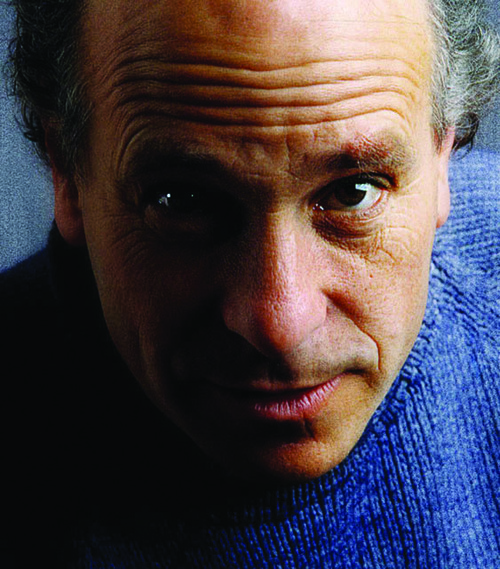 For years Palast wrote a column for the Guardian called “Inside Corporate America,” and his articles have appeared in magazines and journals including the Nation, Harper’s, and In These Times. Palast’s 2002 bestseller The Best Democracy Money Can Buy, which covered in detail the fiasco of President Bush’s victory in Florida in 2000, appeared in 2002 and served as the basis for his documentary film Bush Family Fortunes. Palast lives in Los Angeles.